l love these pillows . They are very comfortable and firm. just the way I like it. And I would recommend them to my family and friends. Get a good night's sleep with this down alternative bed pillow. Made from 100-percent Soft Cotton with a 300 thread count, this pillow provides a soft place to rest your head. A two-inch gusset gives this cotton bed pillow medium firmness, providing neck support so you'll be comfortable while you sleep. I am a very sensitive sleeper and really was looking for the right pillow not to hard not to soft and found this Swiss Comfort pillow it's the perfect pillow and its also a very well made shell is a nice cotton with dubbel stiching. I am very pleased with this purchase! 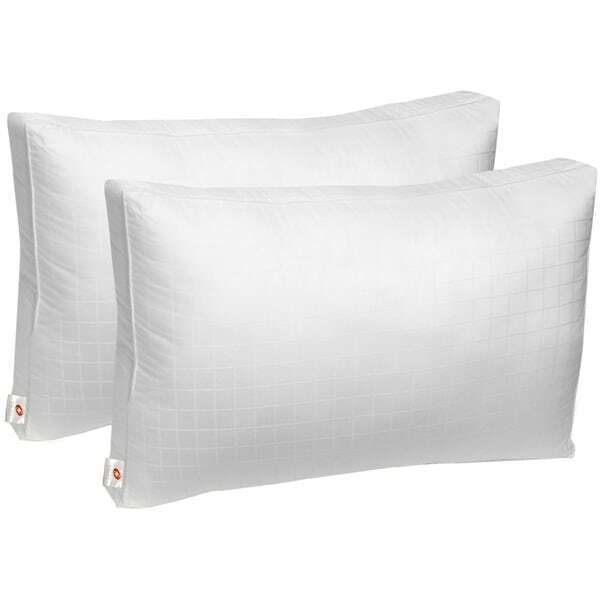 The Swiss Comforts 300 soft cotton down ALTERNATIVE pillows are just that soft, thick and comfortable be sure to use only QUEEN SIZE pillow cases. Would buy again. I gave it 4 stars only because I seldom give anything 5 stars.. I read a few reviews before deciding to try these pillows. They appear too soft, but they so plessantly surprised me. I tend to wake up with the neck pain and I had tried memory foam pillows. They helped, but these pillows are EXCELLENT. I love this pillow!!! Simple this is the best pillow I ever had!!! It’s a pretty firm pillow and I’m hoping it will soften a bit. It’s not the kind I usually buy, but if you like firm you’ll like this pillow. Bought this for my son. He says they are decent, acceptable. Pretty average for pillows. Would be nice if this was a 2 pack as pictured. pillows are ok for the price. I expected them to be firmer. they are still a good buy for the price. didn't like the filling. But are usable. These are the best pillows I have every used. Love the pillow - expected a it to be more contoured in construction.